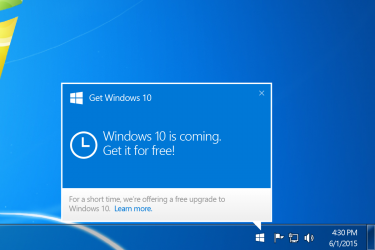 Microsoft has announced that Windows 10 will be available as a free upgrade to Windows 7 and Windows 8.1 on July 29th. We are pleased to announce that both Readysell 7 and Readysell 8 have been tested and there are no known compatibility issues at this time. Over the coming months, we’ll be making some enhancements to Readysell 8 to take full advantage of some of the new features of Windows 10, but we’ll have more on that later. 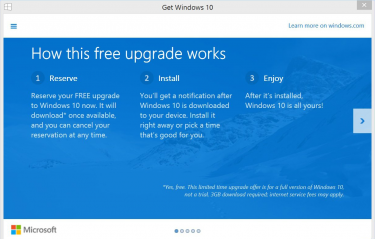 While we believe Windows 10 is a worthwhile upgrade and understand the excitement, we urge our customers to hold off installing the upgrade on their organizational PCs. This will ensure that we can effectively handle the support load of customers moving over to a new and unfamiliar operating system. Our suggestion is that you upgrade first on any home or personal devices that you or your employees may have, familiarise yourself with the new operating system, and then do a staged rollout through your organization to ensure that the effect of any incompatibilities is minimized. If you have any questions about Windows 10, our support staff will be more than happy to help out. We suggest you submit a ticket at our support centre or start a discussion on our forums.